Picture of the Week: Breakfast of Champions? A new donut shop has opened much too close to my house. 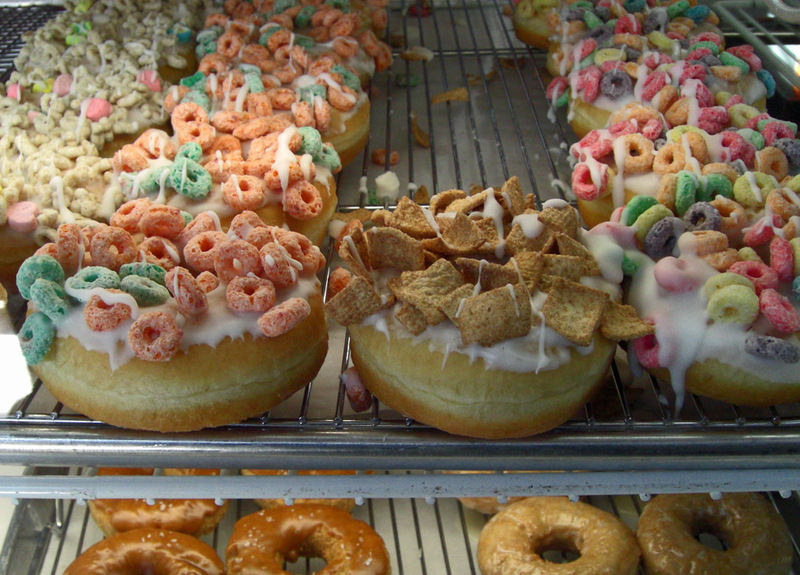 Sitting in the display case, along with the usual cinnamon sugar and chocolate glazed donuts are these oddly colorful offerings, topped with Froot Loops or Lucky Charms. And yes, the fact that there is only one donut remaining of the ones topped with Chex Mix attests to the fact that many customers must find this to be a taste tempting treat. I enjoy looking at the colors and textures. 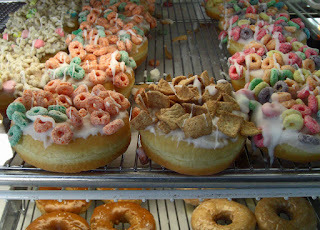 I admire the creativity of whoever realized that the cereal would stick to the freshly poured icing. They are oddly beautiful. But please don't ever make me eat one.